In my experience, church attendance goes up around Christmas while Sunday School participation is sometimes weak. One way to combat that is make sure kids are excited about coming the following week. Why not have a special game time (maybe 10 minutes long) as an incentive for children to come? They might even bring some friends. This post will point out some fun game ideas from around the Internet that you can use for Christmas Sunday School. First, check out this great video from LifeWay Kids. 10 Game Ideas from LifeWay: These are all following the minute-to-win-it format. These include the games in the video above plus 7 more. There is also a helpful collection of Christmas games for kids from eHow.com. These include “Find the Star” and many more. Another great idea is to use these games as part of a Sunday School Christmas party. This can be after church, during class time, or even a different day of the week. We’d love to hear your ideas. 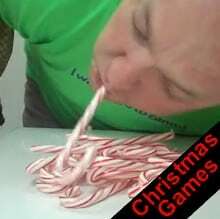 I will probably try some of these as Christmas games for children’s church.Click here to leave a comment. whaoooo, it will be fun to have these games. thanks so much.